Purchasing for an organization—whether large or small, public or private—presents some of the same challenges. Employees and buyers want broad selection, competitive prices and fast delivery. They want to be able to take advantage of those benefits without complicated restrictions while maintaining visibility into purchasing transactions. Launching today in the U.S. and Germany, Business Prime Shipping with Amazon Business delivers on those requirements for multi-user business customers. It combines the delivery speed customers have come to love from their personal Amazon Prime accounts, with the selection and spend management tools provided by Amazon Business. Business Prime Shipping is a paid annual membership program for multi-user business customers that provides FREE Two-Day Shipping on tens of millions of products for all users on an organization’s business account in the U.S. Instead of funneling department purchases through a single person or waiting to pool purchases, customers can purchase the items they need quickly. Business Prime Shipping empowers workers in organizations of any size to get the supplies they need when they need them and at a competitive price, while helping teams reduce shipping costs and maintain control and visibility of spend. 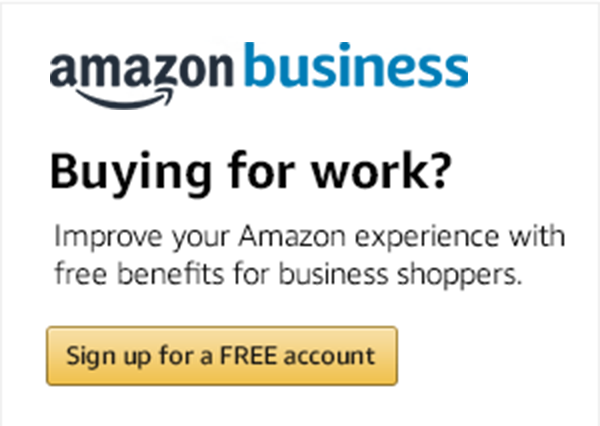 Amazon Business customers can sign up for an annual Business Prime Shipping membership based on the number of users on their account: $499 for up to 10 users, $1,299 for up to 100 users, and $10,099 for over 100 users. Business Prime Shipping is now available to Amazon Business customers in the U.S. and Germany. Read more about today’s announcement here, or click here to learn more and sign up for Business Prime Shipping.